The story: X-Men: First Class explores the origin of the X-Men and Charles Xavier’s tumultuous relationship with Erik Lehnsherr, jumping back decades to details events in 1944 and 1962. The film begins by contrasting Charles’ and Erik’s childhoods in the earlier time period: Xavier grows up in a decadent mansion in Westchester, New York, and makes a mutant friend in a young shapeshifter, Raven, while Erik spends his days in the Nazis’ Auschwitz concentration camp, where he’s separated from his family and forced to watch his mother’s murder by Nazi scientist Dr. Klaus Schmidt. Eighteen years later, Erik travels the world hunting former Nazis as he searches for Schmidt, a path that brings him into contact with Charles, who is now a renowned geneticist helping the C.I.A. take down the Hellfire Club, an organization of evil mutants run by Sebastian Shaw. Schmidt and Shaw are one and the same, and the two men decide to join forces to lead a team of young mutants against their mutual enemy. As the first class of X-Men assembles, Raven finds herself at a crossroads created by her relationships with the men in her life. Charles and Hank McCoy want her to hide her mutation from the world, with Hank going so far as to create a serum to suppress the mutant gene (which massively backfires, turning him into the furry blue Beast), while Erik wants Raven to embrace her true mutant self and her new mutant name, Mystique. Erik has no reservations about becoming the mutant savior Magneto, and he gets the opportunity to unleash his full power when Shaw tries to set off World War III by having Russian missiles transported to Cuba. The X-Men diffuse the Cuban Missile Crisis, but Magneto gives the world something new to fear when he uses his powers to lift a submarine out of the water and stop a barrage of missiles. These events put a major strain on Charles and Erik’s friendship, especially after Erik paralyzes Charles by inadvertently deflecting a bullet into his spine, and the film ends with the two men going their separate ways with their own groups of mutant allies. Noteworthy events: The X-Men mythos starts here, so that makes the entire film especially noteworthy in the larger XMU context. 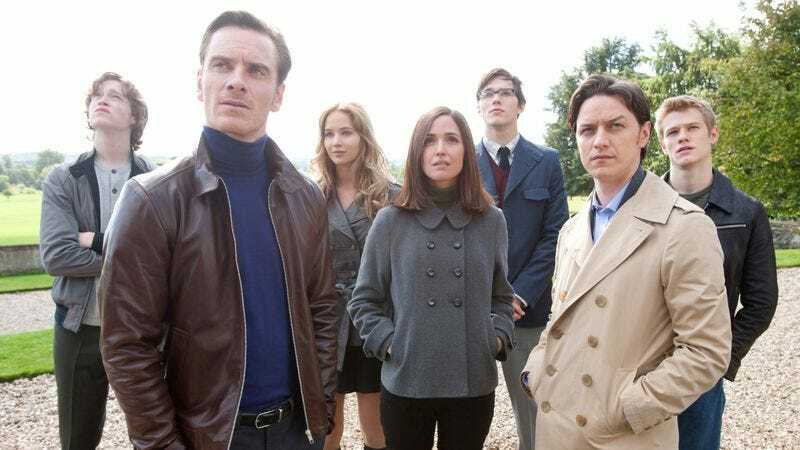 First Class establishes the rivalry between Professor X and Magneto and reveals why Mystique is by Magneto’s side throughout the original X-movie trilogy. It adds Raven’s dynamic with Charles, and while those first three films don’t acknowledge that relationship in the present, X-Men: Days Of Future Past will bring it up in the future. Wolverine’s curt response to Charles and Erik will also come up in X-Men: Days Of Future Past, which sends the Wolverine of 2023 to 1973 to prevent the creation of the mutant-killing Sentinel robots.